The Ultimate Showdown is On! 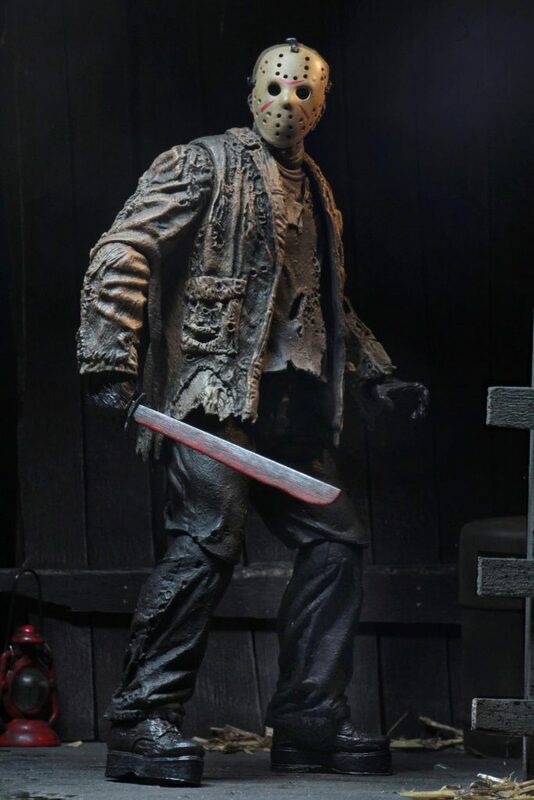 Just last night NECA changed their Twitter avatar to a bloody Jason mask and today they revealed the actual figure. 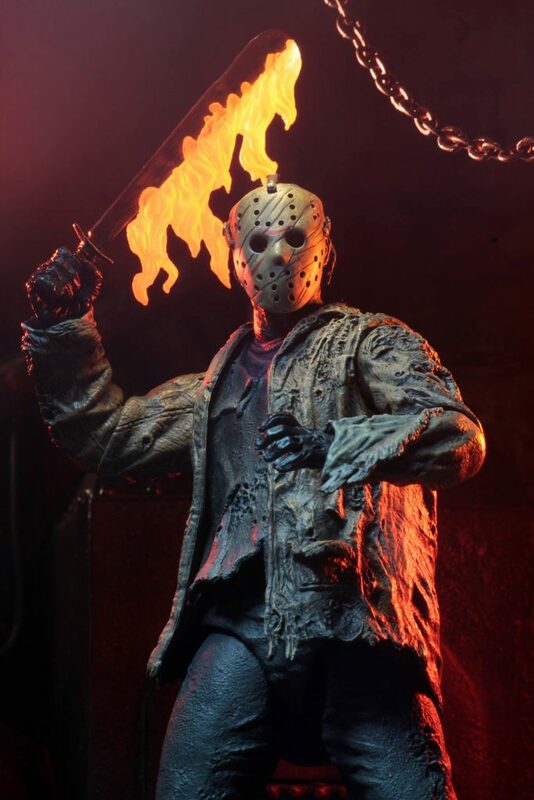 The only FVJ Jason figures they’ve released before this is the one in the diorama set with Freddy and a single carded version. 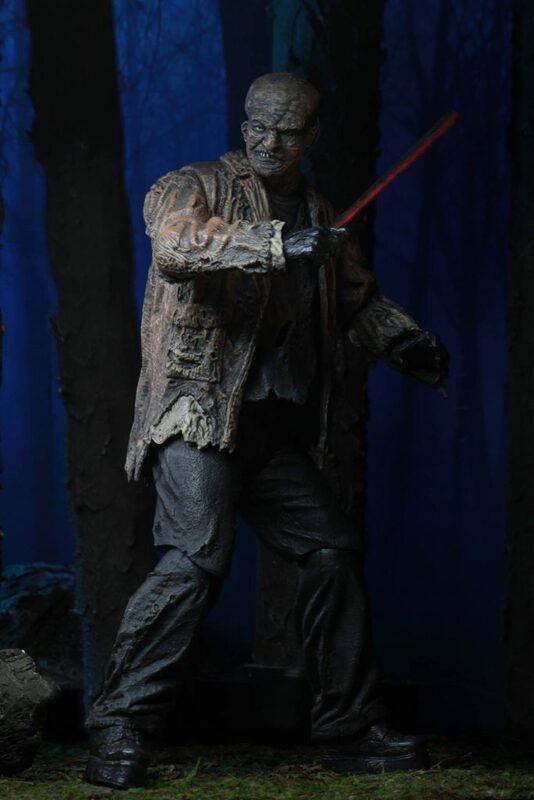 Now NECA have upgraded that figure with an Ultimate version. 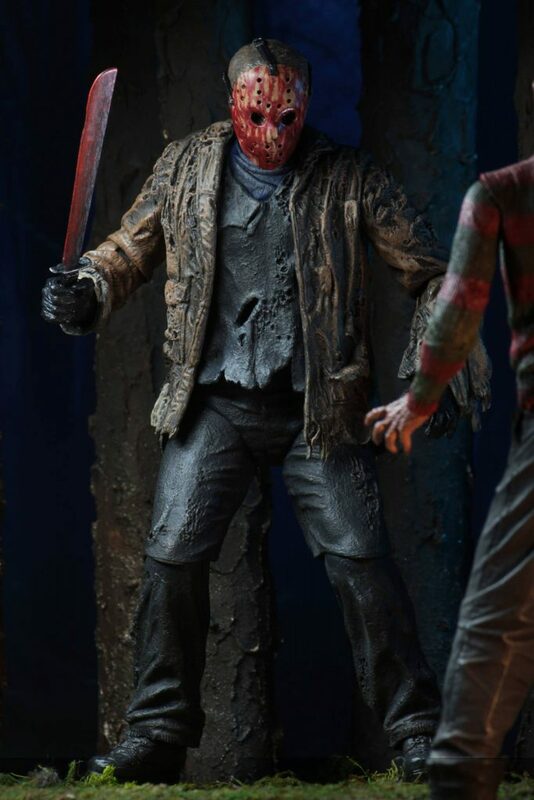 This is clearly a completely brand new sculpt. 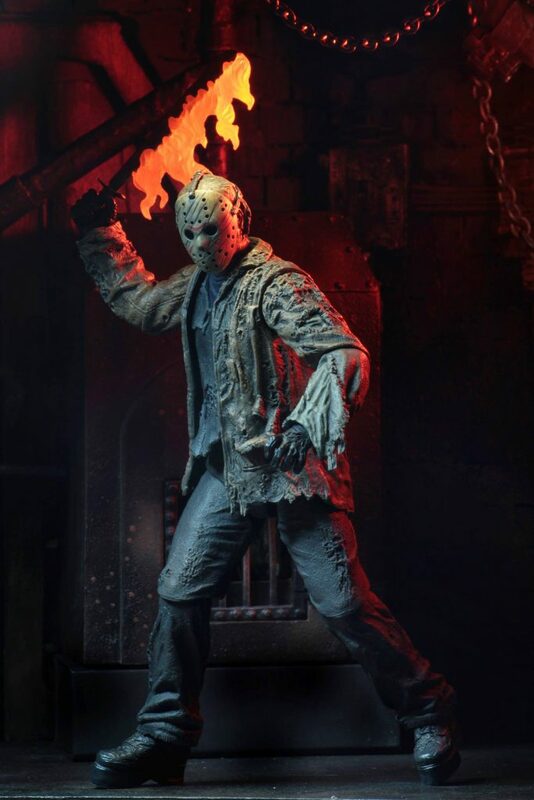 I have the diorama figure which is great and this one looks even better. 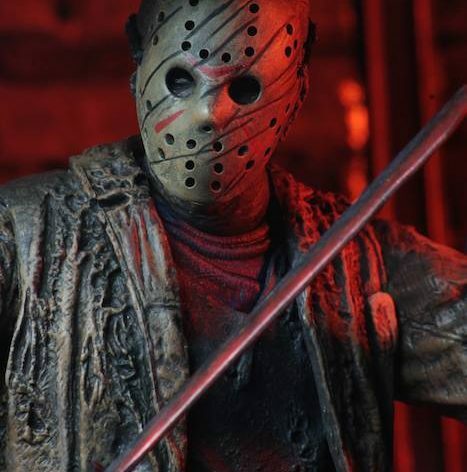 I make it no secret that i’m a big fan of Freddy vs Jason and I have real soft spot for it. 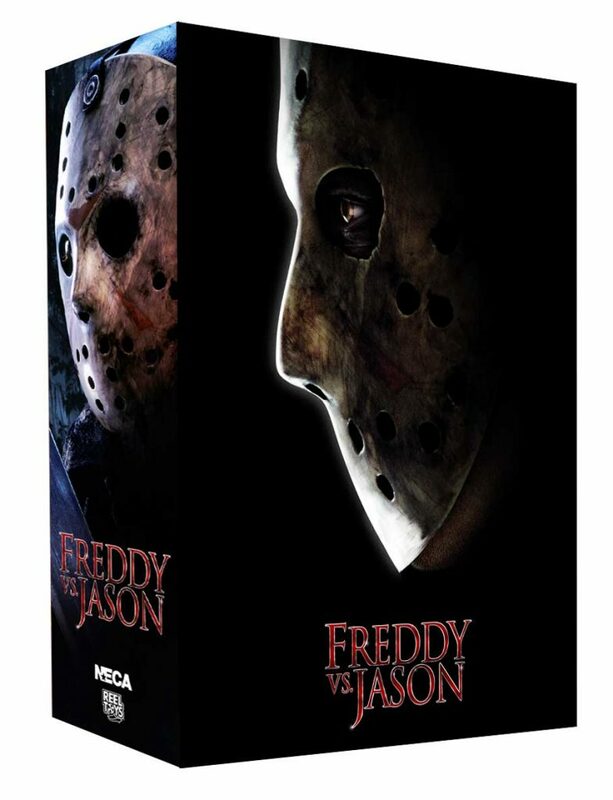 So you can imagine I am really ecstatic about this! 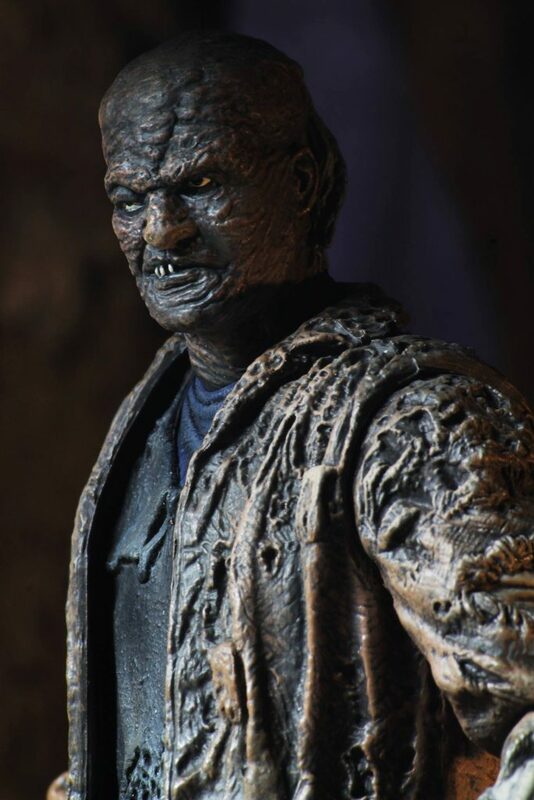 The sculpt looks absolutely fantastic and I love the zombie look to Jason in the film and NECA have recreated it perfectly. 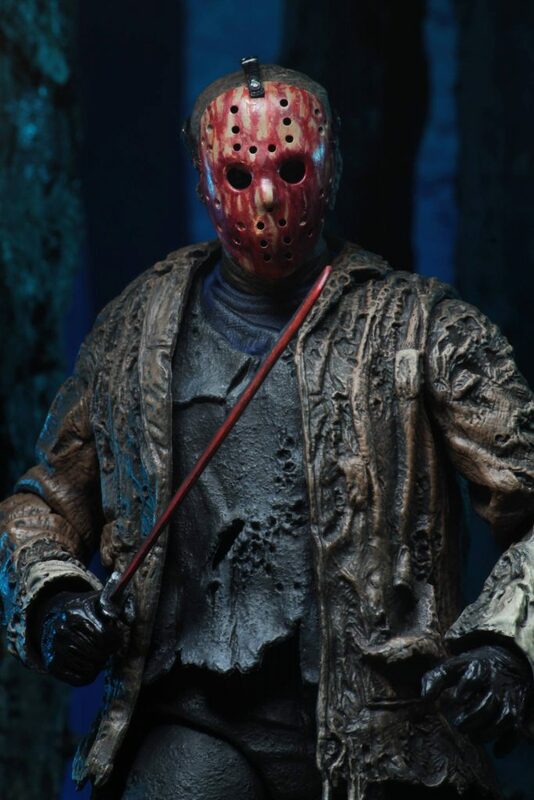 Accessory wise he comes with three different masks; a clean one, bloody and a clawed mask which looks ace. 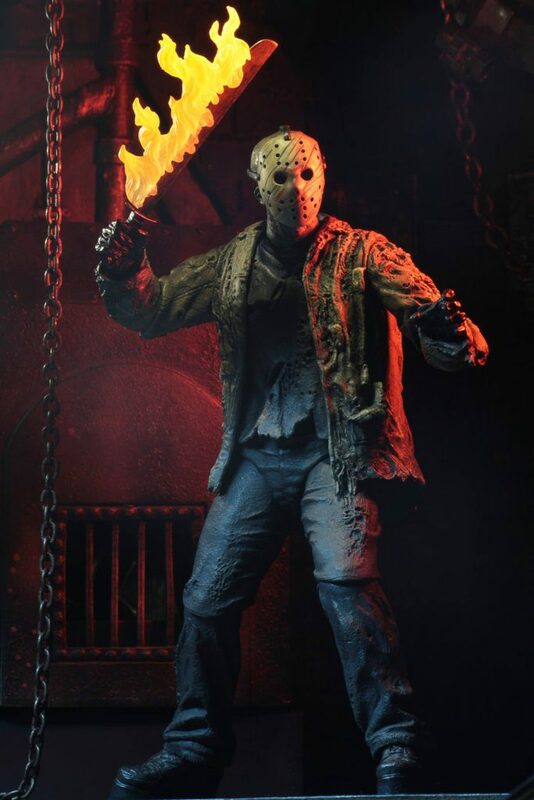 Two machetes; one clean and one bloody and a flame effect that can be attached to either blade. 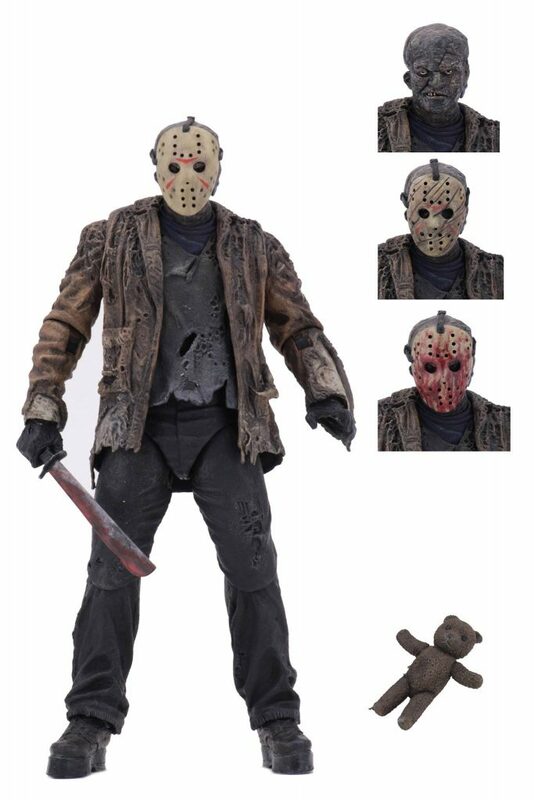 He also comes with a teddy bear which was only used in the promotional material. 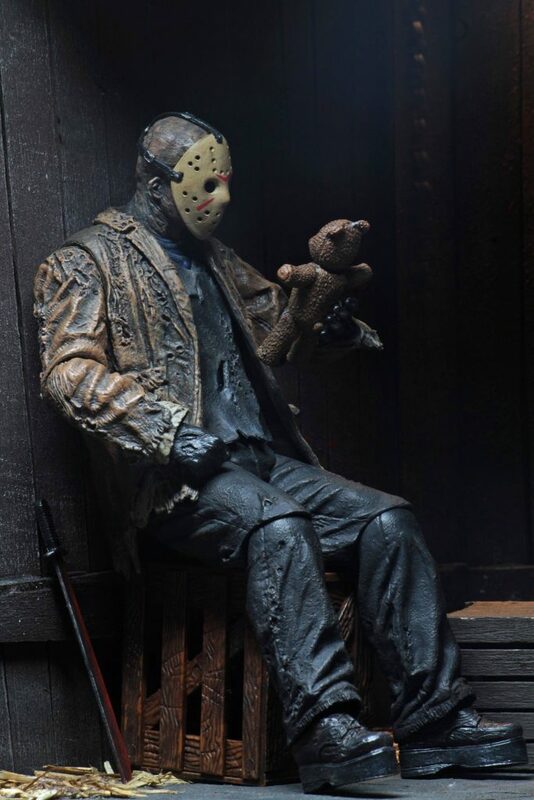 It’s fitting that Jason comes with it as he’s essentially a child. 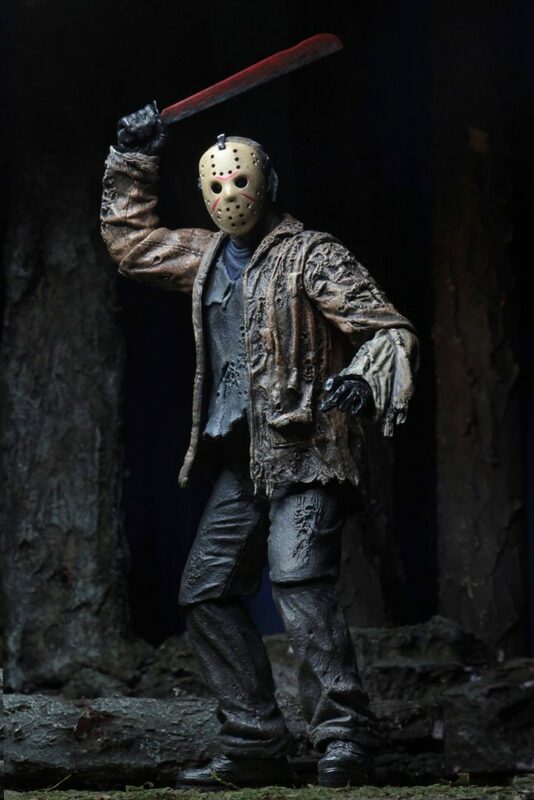 This figure is scheduled to be released in the third quarter of this year. 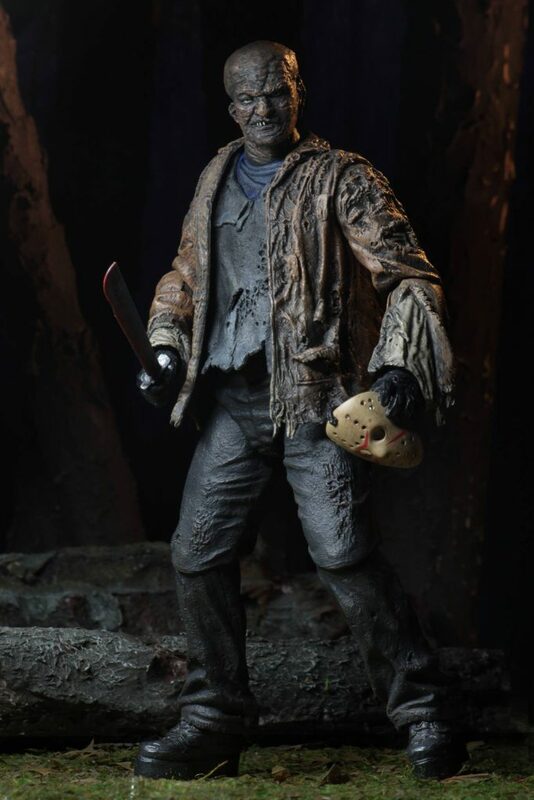 If your a Friday the 13th fan and a Jason vs Freddy fan ths figure is a must have for you .